Wellthane™ HZ series-Chlorinated Polyethylene|CPE|Acrylic Processing Aid|AIP|Acrylic Impact Modifier|AIM|Impact Modifier|ADC blowing agent|Chlorinated Polyvinyl Chloride|CPVC|Polychloroprene Rubbe|Chloroprene Rubber|Neoprene |Chlorinated Rubber|Thermoplastic Polyurethane Resin|TPU)|High Chlorinated Polyethylene |HCPE|Chlorosulfonated Polyethylene|CSM-Acrylic Processing Aid, Chlorinated Polyethylene - Sundow Polymers Co.,Ltd. HZ series products are thermoplastic polyurethane containing halogen-free fire retardant. 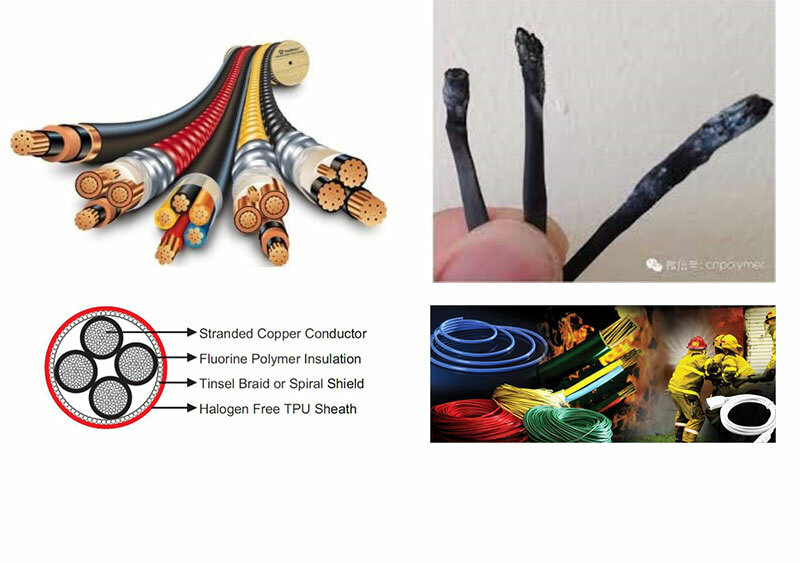 They not only offer excellent flame retardancy, but also possess good mechanical properties, hydrolytic stability, low temperature flexibility and abrasion resistance. Note: The above values are shown as typical Values and should not be used as specification.